Do you want to download Whatsapp stories on Android phones? Well, if yes then continue reading. 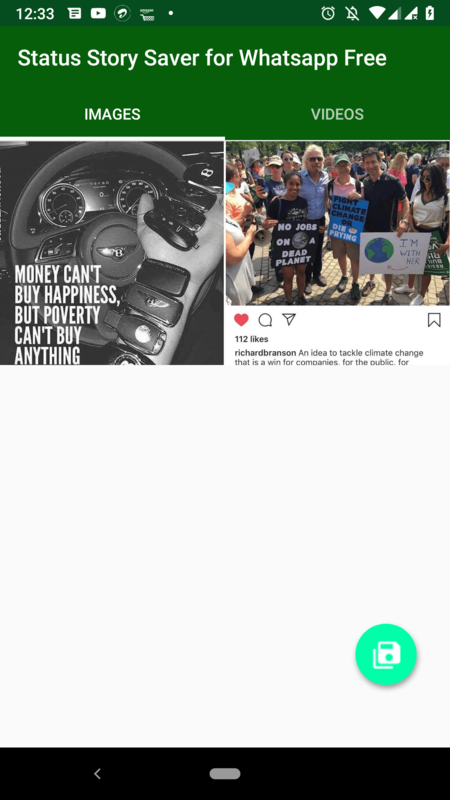 I am back with 3 easy ways to save Whatsapp stories. It has been a long time since WhatsApp added the stories feature in the highly popular messaging app. And almost all users are using this feature on WhatsApp just like in other apps like Snapchat and Instagram. While WhatsApp allows their users to download the profile picture of your contacts, the same cannot be said for WhatsApp Status. By default, you cannot save WhatsApp stories on either Android or iOS. Some of you might think that taking screenshots can be a feasible solution, but they do not work in the case of video stories. Therefore, today we are here with the full guide on how to download Whatsapp stories on Android. 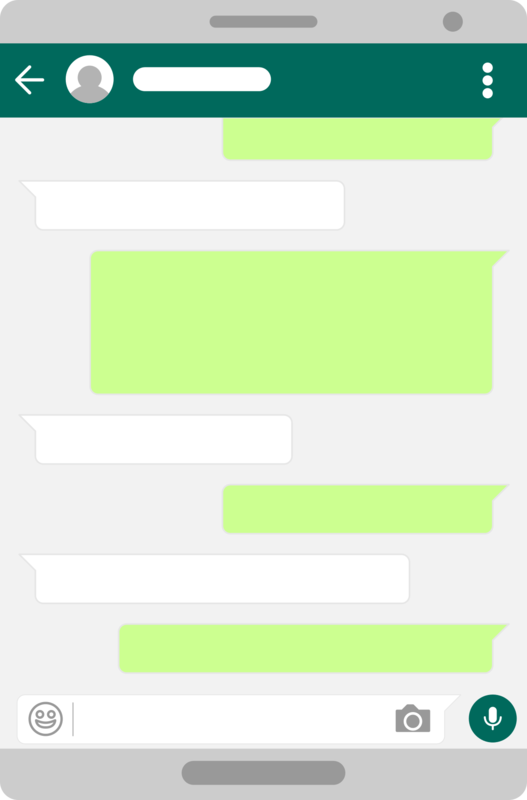 As WhatsApp stories disappear after 24 hours, you can’t view the same image or video again in the future. Due to this, many users are requesting a feature that allows the downloading of WhatsApp Stories. But WhatsApp is not adding this feature in the messaging app for Android any time soon. Fortunately, there are some unofficial methods to download WhatsApp stories on an Android device. Even though they will not work on an iOS device, this article can still help a lot of Android users. 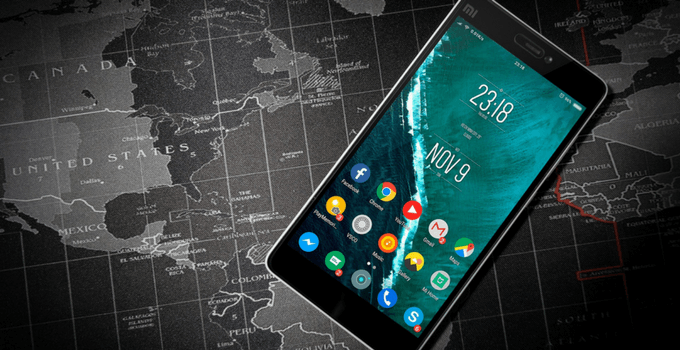 While some methods require the user to have root access for downloading the stories, the methods mentioned in this article will work on most Android smartphones without root. 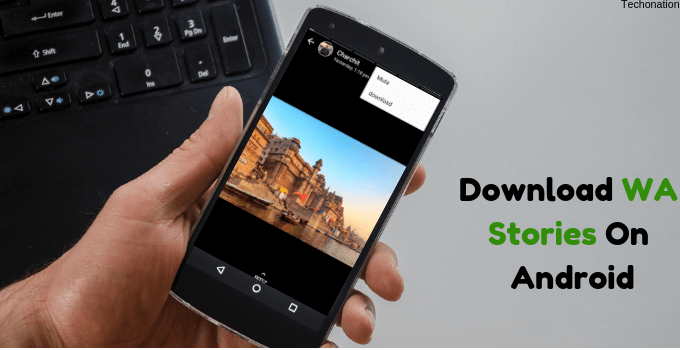 1 How to Download WhatsApp Stories on Android? How to Download WhatsApp Stories on Android? If you look for the possible methods for downloading WhatsApp Status, you will find many tricks for doing the same. But many of these methods either do not work or are quite complicated. Not only that but if the given method requires root access on an Android device, it would not be possible for all users. Therefore, I have gone through all the possible methods for downloading and saving WhatsApp Stories on Android. 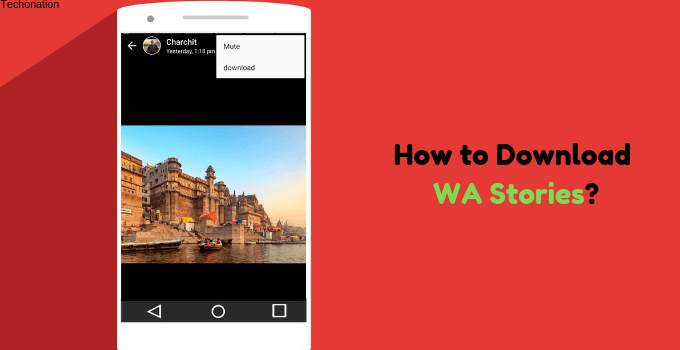 And in this article, you will find multiple easy methods which allow you to download both images and videos from WhatsApp Status easily. So if you are interested in saving the Stories of your contacts to your phone’s gallery, then make sure to go through the following ways one by one. I have also shared the guide to change IMEI number on Android. Whenever you view someone’s WhatsApp stories in the messaging app, it automatically saves the image or video file in your phone’s storage. This happens so that once the story is saved, you can view it again for the next 24 hours even without internet access. 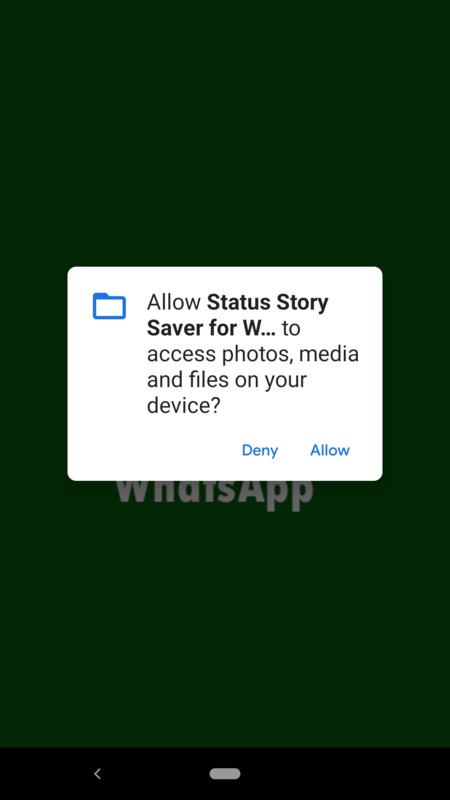 Because of this reason, all the images and videos from WhatsApp Stories can be found in the internal storage of your device. 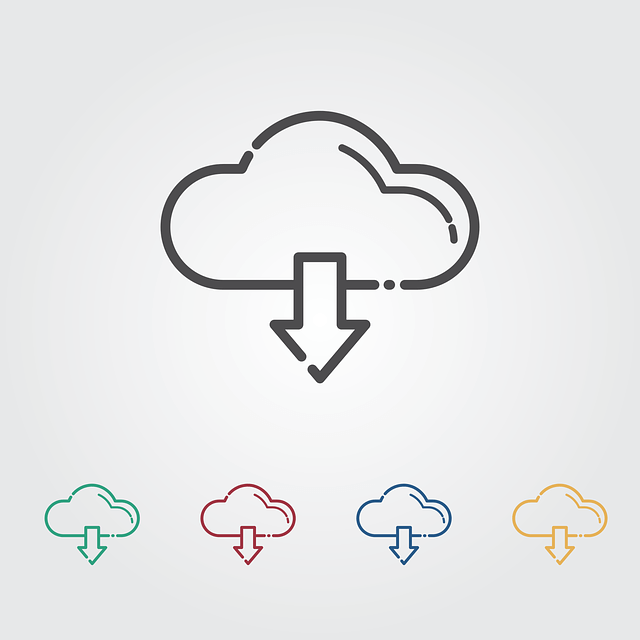 Due to this, you can simply use a file explorer that allows you to view hidden files and copy these media files in any other folder. Doing so will allow seeing these files in your Android device’s gallery in the future. While you can use almost any file explorer for this process, we will be using the ES File Explorer for the given instructions. You can download it by clicking on this link. And once you have successfully installed it, just follow the given steps one by one to download WhatsApp Stories. First, go to WhatsApp and view all the stories of all your contacts. It will make sure that all the media files get successfully saved in your Android device’s internal storage. After that, open ES File Explorer on your Android device and enable Show hidden files from the left side menu. 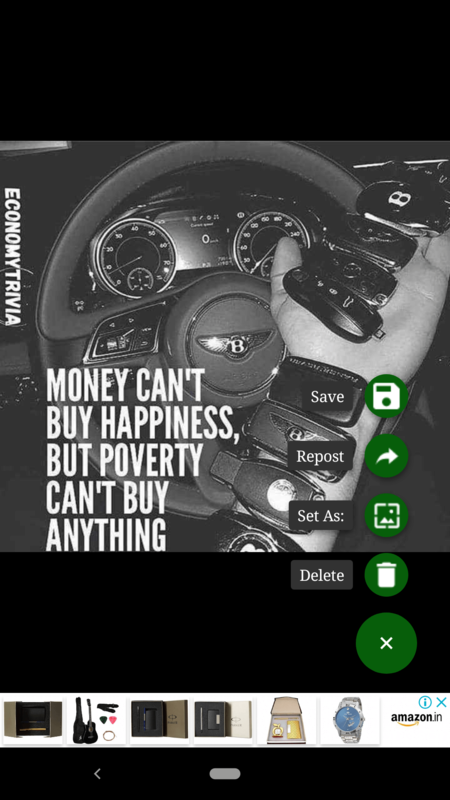 Now, navigate to WhatsApp/Media/.Statuses which is a hidden folder and you will find multiple media files inside. 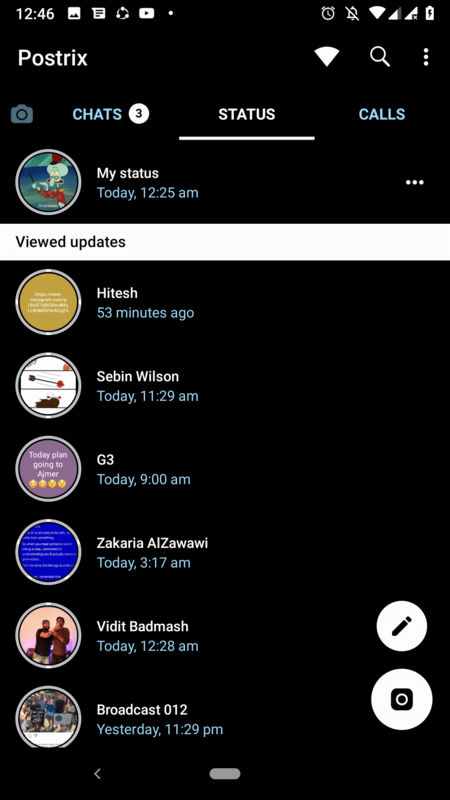 These are the saved WhatsApp Stories of all your contacts and includes both images and videos. 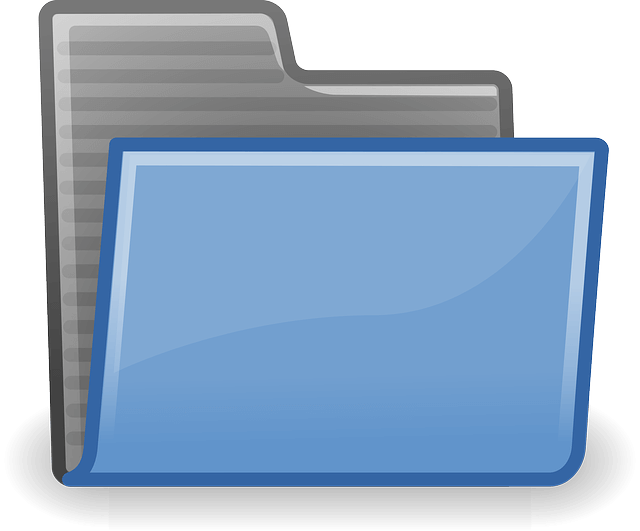 You can just copy these files into a separate folder stored anywhere on your Android device. Once you have done that, you would be able to view them in your phone’s gallery app. The method mentioned above to download WhatsApp Stories works well on the latest version of WhatsApp. But for some users, this whole process can be a little hectic. As it includes several different steps, it might not work if either of the steps is not carried out. In that case, you can use one of the many third-party apps that do this whole process for you. By using such an app, the whole process of saving WhatsApp stories become quite quick and easy. If you look for such apps on the Google Play Store, you will find many viable options. But after trying several of these apps, we found the best one of the bunch. And for this process, we will be using the Status Story Saver for Whatsapp Free app. You can download this app for entirely free from Google Play Store by visiting this link. Open the app after installing it from the Google Play Store and allow all the required permissions. After that go into either the Images or the Videos tab to open whatever media that you want to save from WhatsApp Stories. Once you have opened the desired image or video, tap on the + icon in the bottom right corner of your screen. Finally, select the Save option which will successfully download the selected WhatsApp story in the internal storage of your Android device. 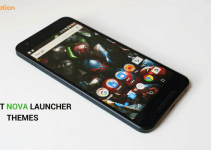 Must Read: How to Download Paid Apps For Free On Android? The stock WhatsApp for Android found on the Google Play Store have a minimal number of available features and options. 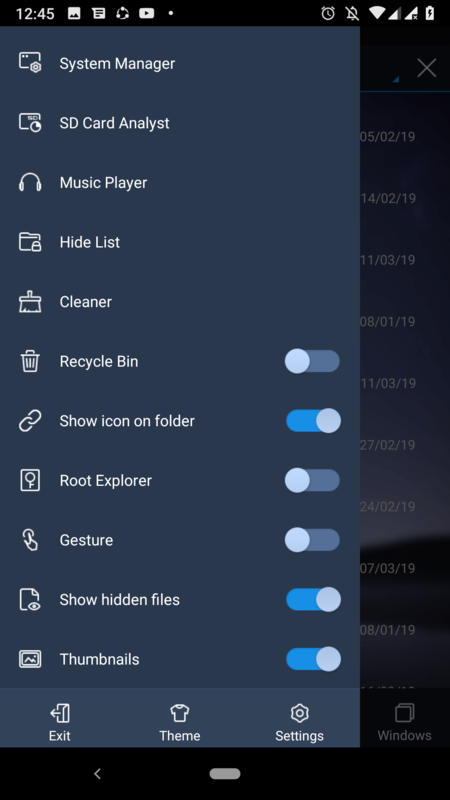 This limits the flexibility of an advanced user who might want to do things like downloading WhatsApp stories without root. Thankfully, there are many modded versions of WhatsApp out there which are developed by smaller developers. And if you are an expert Android user, then you must know about such alternatives like FMWhatsapp, GBWhatsApp, YoWhatsApp, WhatsApp Plus, etc. 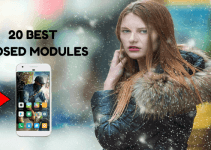 All of the above mentioned modded WhatsApp APKs have a vast number of available options and features. And almost all of them can save and download WhatsApp Status of any of your contacts. Since these are modded versions of WhatsApp, you will find the download option right in your WhatsApp. While you can use any modded version of WhatsApp as per your liking, we will be using GBWhatsApp for this tutorial. First, open the modded version of WhatsApp that you have installed on your device, which is GBWhatsApp in our case. Then, go to the Status tab and view the status of whatever contact that you want to download. After that, tap on the three-dot menu in the upper right corner of your screen while viewing the staus and select Download. 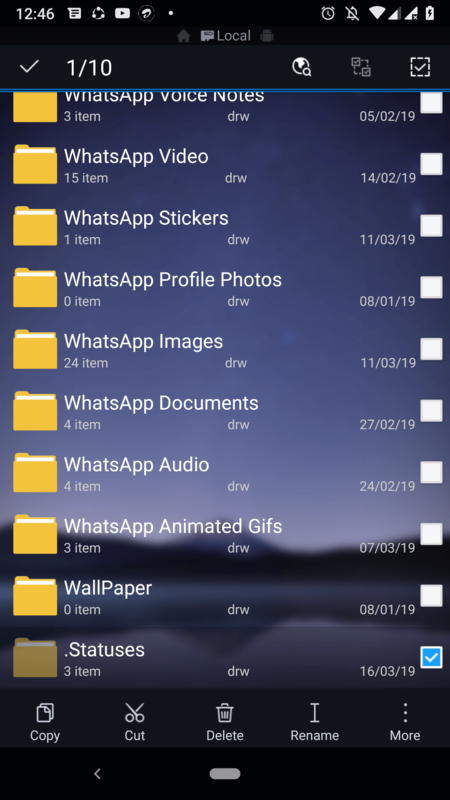 Doing so will successfully save the WhatsApp story in your device’s internal storage, and you can then view it in your gallery app whenever you wish to. Must Read: How to Change Fonts On Android? Well, I hope that you’ve learned about how to download WhatsApp Stories on Android without root. I would suggest you use all three methods and find the best one for yourself. 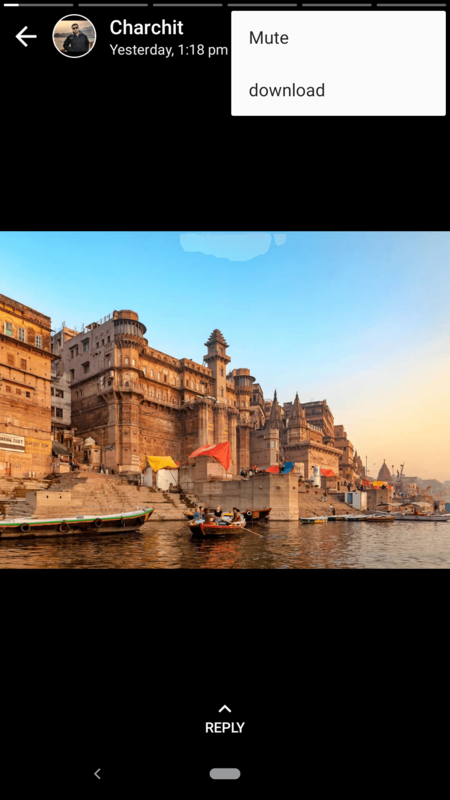 In case you liked this article, then make sure to share it on social media. If you got some doubts regarding the tutorial and want solutions, feel free to ask any queries in the comments section below.